Taking medications in the manner prescribed by your physician is essential to good seizure management. Sometimes this is difficult to do when there is no prescription drug coverage and there are multiple medications and/or very costly ones. For persons not eligible for any form of public prescription insurance and who do not have private coverage, the majority of pharmaceutical companies offer free medications to those who qualify by meeting income guidelines. In general, those who are single with annual incomes under $18,000.00, or families with an income of $25,000.00 or less, may be eligible for these programs. Some manufacturers have more generous income ceilings and it is always wise to call the Epilepsy Alliance Ohio to determine eligibility unless your income greatly exceeds that listed. Applications for these programs can be obtained from the Epilepsy Alliance Ohio and must be completed by the individual and the prescribing physician before submitting to the pharmaceutical firm. Medications are usually mailed to the doctor’s office for dispensing but some manufacturers mail the drugs directly to the patient. Eligibility must be established every nine to twelve months for continuation in the program. The Kaiser Family Foundation provides in-depth information on key health policy issues facing the United States including Medicaid, Medicare and private health insurance. 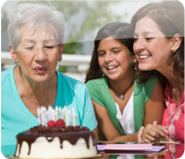 AARP offers information about insurance, Medicare and long-term care to people over age 50. Medicare Access for Patients Rx helps answer questions for people with Medicare in regards to Medicare Prescription Drug Coverage. Medicare Rights Center helps people with Medicare understand their rights and benefits and navigate the Medicare system. The HealthWell Foundation addresses the needs of individuals with insurance who cannot afford their copayments, coinsurance, and premiums for important medical treatments. Partnerships for Prescription Assistance (PPA) helps qualifying patients without prescription drug coverage to get the medicines they need through the program that is right for them. Together Rx Access helps patients without prescription drug coverage to get immediate savings on hundreds of brand-name and generic prescription products at many pharmacies.